or because I changed my mind. With a scale ratio of 1:220 and a track gauge of a quarter of an inch (6,5mm), "Z" is the smallest commercially established electric model railway scale - making it only 72% the size of N Scale and a mere 40% of H0 Scale. As a result, Z Scale offers the possibility of running trains in a confined amount of space which simply would not be possible in other modelling scales: the rather complex trackplan shown here only measures 24"x48" (60x120 cm) in Z Scale yet offers continuous running (even twice around) along with several spurs and the potential to model scenic variety. You might just be able to shoehorn this into that space with N Scale but only by using very tight curves, markedly shorter straights, and foresaking much of the pointwork. And of course it would be absolutely impossible in H0. 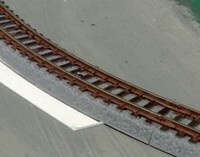 It's almost something of a calling card for Z Scale - the small round-and-round layout, as Z Scale allows for continuous running on a full circle of track with reliable operation of medium and larger locomotives in an area of approximately 20"x20" (50x50 cm); tight curves and short rolling stock will even find sufficient space within the confines of a briefcase. German toy and train manufacturers Märklin, the inventors of Z Scale, have almost always emphasized the smallness far more than the option to model more in the same given space in comparison to N and HO. But unless you are into gimmicky micro layouts in odd places, it is in fact precisely this quality of being able to model more in the same given space which makes Z Scale shine. 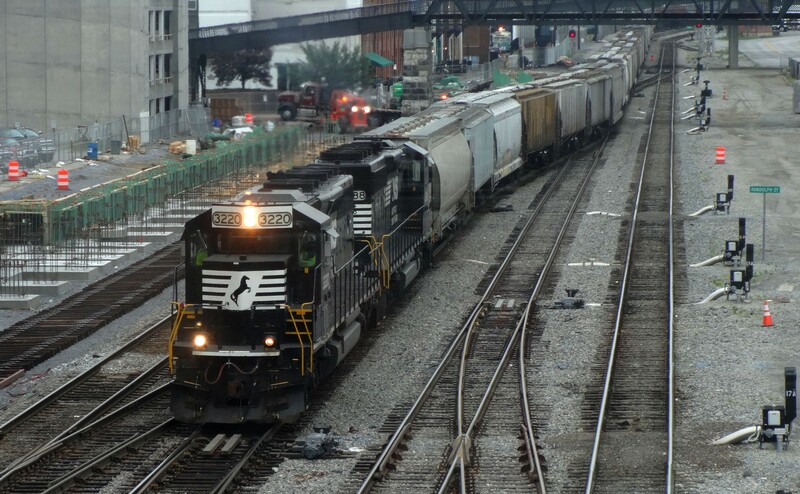 Z Scale really suits any prototype, but when it comes to the typically long drags and hauls seen on North American rails, the space saving qualities become truly apparent. This is because the overall footprint over ties of Z Scale track is only half an inch (12.4 mm) for a single line of straight track. 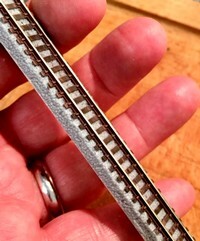 The width required by a double track line is no wider than a mere 1.4 inches (36 mm), or 1.6 inches (40 mm) when using track with a permanent plastic roadbed base imitating ballast. The small footprint even of a double track line makes Z Scale an optimal choice for a modular layout, made up of several individual elements which can be joined together, as opposed to a layout which is built up on a permanent understructure. The list of my requirements (small, lightweight, straightforward) made me come across T-TRAK - a tabletop (hence the "T") modular system with individual modules which are substantially smaller than those of other module systems. The modules are easy to build, store, transport and set up, and can be used to form layouts ranging from a simple circle to large complex affairs. Originally developed by N Scale modellers in Japan, the T-TRAK concept has also been adapted for HO and Z Scale, but given that I simply intended to have a modular layout which could be set up temporarily without much of a fuss I did not have to concern myself with the compatibility of parts of my layout with other modeller's modules - which is why I took the T-TRAK concept as a basis but introduced some changes according to my own preferences. Even if you have never read a line of Shakespeare you will most likely have encountered the saying that "all the world's a stage" (taken from As You Like It, Act II Scene VII). Although one of his most famous and often used quotes, the idea for this comparison didn't actually originate with Shakespeare; it goes back at least to the times of Ancient Greece and Rome, and it has been used extensively and in many different contexts ever since. I first came across the idea of likening a model railroad layout to a theatrical stage in John Armstrong's now classic Creative Layout Design (1978), but just like Shakespeare, Armstrong (1920-2004) provided a synthesis of ideas previously formulated by Frank Ellison (1887-1964). An early figurehead of US model railroading, he had spent several years in the theatrical business and saw many similarities between the operation of a layout and a theatrical performance: "the tracks are the stage, the buildings and scenery are the setting, the trains are the actors, and the operating schedule is the plot". Carl Arendt (1936-2011), undisputed master of the micro layout, referred back to Ellison too as he made use of "theatrical layout design" and promoted "stage tricks for small layouts". The comparisons and references make sense, not only because a theatrical production and a model railroad layout both attempt to "carry out the illusion of reality", as Ellison put it; many of the best design tricks are borrowed from the theatre (e.g. forced perspective) and are even reflected in the terminology (e.g. staging tracks). The insight and inspiration to be gained from comparing a modular model railroad to the theatre becomes apparent once you think about "setting the stage" - which is not about replicating (i.e. providing an exact rendition) but rather about representing scenes of the real world (i.e. "re-presenting" certain features while leaving out others). This is an especially heplful approach for Z Scale, where applying a degree of modeller's license (i.e. taking creative liberties in modelling something) is sometimes the only feasible way to do things, due to a lack of available items or the minuteness of the scale. A theatrical stage provides a designated space, in which the scene is set with props and the actors move, and therefore becomes the focal point for the audience. 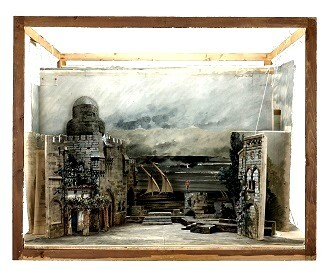 The stage also defines the boundaries of scenes and actions, often through architectural features which create the equivalent of a picture frame (proscenium in theatrical terminology) - which at the same time also means there are parts of the stage which are not visible and never revealed to the audience. 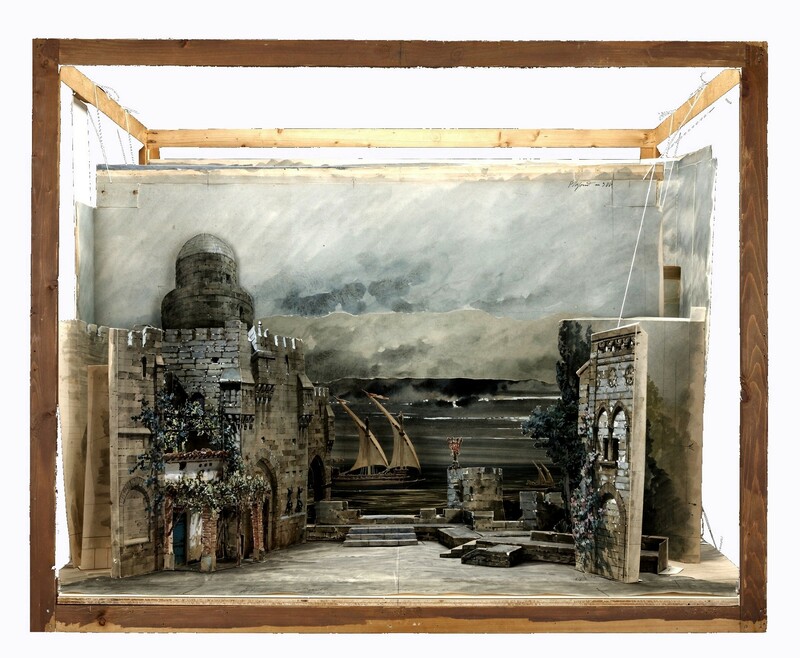 The stage design model shown here (created for an 1895 Paris production of Verdi's Otello) clearly defines and limits its "viewing and acting space" in what can basically be seen as a box, and individual layout modules work much the same way - inside this "stage box", a specific scene is set which puts the actors in context, just as a module provides a specific setting for trains to move in. Theatrical productions began to move indoors at the beginning of the 17th century, and the buildings which housed them started to resemble the arrangement so familiar today: a stage separated from the audience by a proscenium arch. One of the drawbacks of this arrangement is the need to rearrange the stage if different settings are to be shown - a change often carried out either with the lights out or behind a closed curtain during intermission. 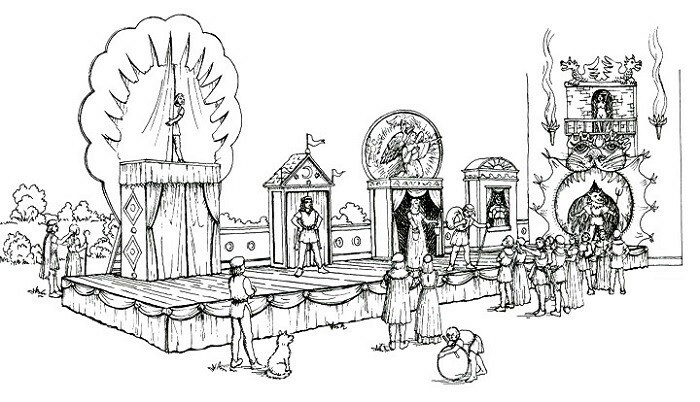 During medieval times, however, theatrical productions often used what is called "simultaneous (or multiple) setting". All the different scenes were in view at any given time, with various locales being represented by (sometimes very elaborate) "booths" lined up side by side. To change scenes, actors simply moved from one booth to another, and if need be the audience would follow them. 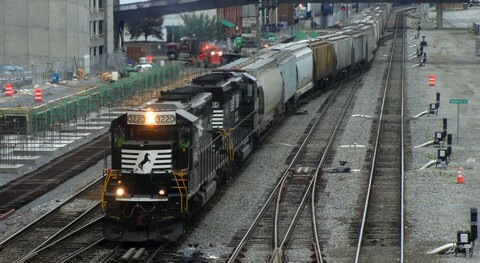 If we view an individual model railroad module as sharing certain aspects and properties of a theatrical stage, then "multiple setting" is really no different to putting several modules (think "stages") together to form a string of changing settings through which trains (think "actors") move while following an operational concept (think "plot"). Viewing a modular layout this way not only opens up the possibility of using a couple of stage tricks (some, as pointed out, already well established in model railroading) but provides a coherent view of both the individual module as well as the assembled layout. You know what to look for and what is required to make it all work: first the plot, then the staging, then the actors to bring it all alive. In my case, this meant: railfanning vignettes in which trains (mostly Norfolk Southern, along with some CSX) pass through different Mid-Appalachian scenery (mostly Virginia, West Virginia and Tennessee) almost as though they were crossing a medieval theatrical stage, in a plot which is all about simply watching those model trains roll by. There are numerous ways of lining up layout modules, but if the location and scenery changes from one module to the next (as is the case with my layout), some form of transition is required - unless, of course, you are happy with abrupt bumps of change where spring turns to winter or the Rockies to a downtown scene in an instant. On a "multiple setting" stage, the transition is often eased by spacing out different scenes, but a modular layout ultimately requires the individual elements to be joined up and thus form a connected viewing area. 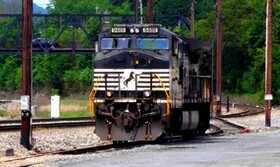 Scenic transition from one module to the next (as opposed to rail transition, which ensures a proper connection of tracks across two modules) is best achieved using a stage trick in the form of a view blocker. This simple device prevents a person viewing the layout from seeing the actual break in scenery which inevitably occurs at the joining outer edges of two modules. This could simply be a scenic foreground element, such as a row of trees or a tall building, but it could also be an attempt at recreating a contemporary theatrical stage, with its rectangular arch and two pillars as sideways boundaries. This may be a matter of taste, but apart from providing a smooth visual transition between modules it also adds an element of support and protection to each segment of the layout, which can be especially worthwhile having in Z Scale where scenic items get knocked off or damaged even more easily than in larger modelling scales. The idea of simultaneous setting can also be applied to a 180o corner module, in a way which is known in theatrical circles as a "thrust stage". While the audience in the theatre is seated around three sides of the stage, the module of course allows for "mobile viewing", where one can follow a train's movement. Adding corner viewblockers helps to create three distinct settings, even if the scene itself is the same. Breaking up the onlooker's view in this way also tones down the fact that this is actually a perfect half-circle of track - a rare feature on the real railroads. 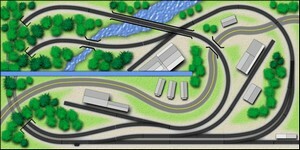 Z Scale offers the same basic types of track other modelling scales do: sectional track versus flex track, and standard track versus track with an integrated roadbed imitating ballast. Ultimately the choice will be a decision based on a specific layouts requirements and needs as well as previous personal experience. Rokuhan (the company name meaning "6.5" in Japanese, refering to the Z Scale track gauge of 6.5mm) introduced their Z Scale track in 2011; it features an integrated trackbed which simulates ballast, similar to Micro-Trains' Micro-Track in Z and Kato's Unitrack in N and HO. The rails are nickel silver and have an inverted H profile, aimed at providing better wheel to rail contact and thus current pick-up. The brand has become popular amongst Z Scale modellers due to the large and varied track geometry avilable; standard track pieces even come with either wooden or or concrete sleepers. Rokuhan track is, however, modelled on Japanese permanent way, which is closer to the European average of 2,640 ties per mile of track rather than the up to 3,000 ties on North American track. This difference is visible, but ultimately it was a case of function over appearance in order to get the best operational results and the most planning flexibility possible for my US prototype modular layout. 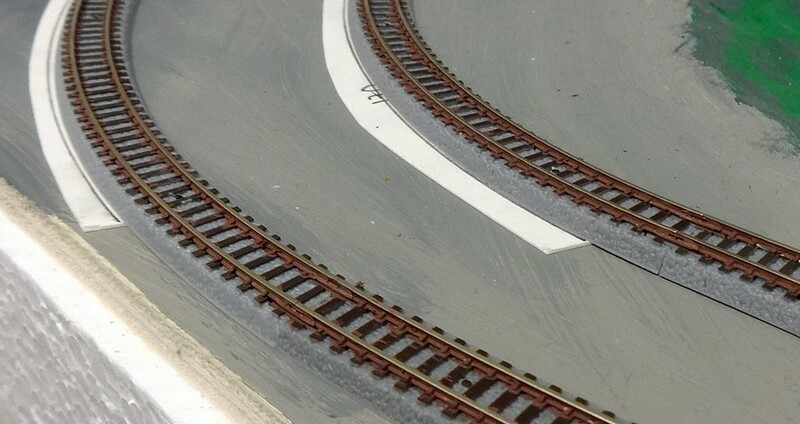 All in all, the compromise on visual aspects is not too big as careful ballasting and weathering of Rokuhan track goes a long way in disguising the "wrong" tie size and spacing. Corner segments can be built in 180 or 90 degrees segments, but in order to keep the number of module connections to a minimum I settled for one 180 degrees double track and one 180 degrees single track corner module, both falling easily in line with the required ease of building, carrying, setting up and storing. The corner modules measure 450mm x 650mm, a size which allows the use of Rokuhan's extra-large radius curves plus a standard 110mm straight track attached to both ends of the curve in order to ease the travel of trains into them. The straight modules have a depth of 250mm, which I found to be a good compromise between keeping down overall size and still provide some space for scenic modelling, especially on single track modules (the Australian T-Trak standard for Z is only slightly larger at 280mm). The operational nucleus of the layout is the basic oval formed by the two corner modules, although this renders the inner line of the double track segment non-functional. An important aspect of the modular segments is a strict adherence to level track, resulting in no inclines of the track itself while the scenery around it may rise and fall in all directions. Overall, this not only results in smoother operation but also makes connecting modules a lot easier.